Use nature to inspire your spring party table setting. In a few weeks, family and friends will be knocking at your door. Maybe you’re hosting the family Easter celebration. Or hosting a bridal shower for your sister-in-law. Or maybe there will be a new baby in the family soon. Do you know how you’ll decorate your table? In this happy and wondrous spring season of change, the best and easiest way to decorate spring party tables is to keep things simple. For a color scheme, you can never go wrong with nature-inspired pastels. 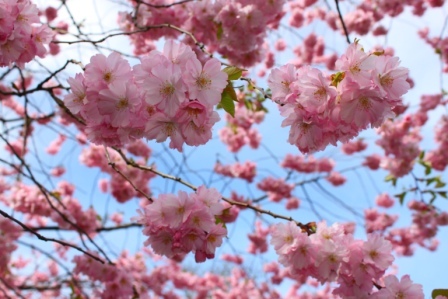 Whether it’s a soft grass green, lemon yellow, robin’s egg blue, sweet organge or cherry-blossom pink, pastels automatically make people think spring. Choose a white tablecloth with a pastel runner and napkins. Or try a softly hued table cloth with white napkins. With nature coming alive, there’s an abundance of free greenery and foliage in your yard that would make a beautiful centerpiece. Look around you and see what’s blooming or budding out. Depending on where you live, you might find cherry, crabapple, or serviceberry blossoms. Farther north, you might find sprays of pussywillow, witchhazel or even young maple leaves popping out. Keep the centerpiece simple, and if you need to, round it out with evergreen foliage or supermarket mums. For a quick way to add festivity, wind some coordinating curling or grosgrain ribbons through your chandelier or around your centerpiece. If you’re lucky enough to be able to have the windows open, they’ll dance in the breeze. Gifts in 24 offers a beautiful array of Color Mist Napkins & Guest Towels that come in so many colors, they’ll match any decor. Color Mist comes in two finishes: Pearl and Tint. Our Pearl finish lends a soft, pastel shimmer to the raised personalization on these high quality, three-ply napkins. The Tint finish features a unique faded, watercolor effect where the matte color fades as it approaches the center of the raised letters. Give Kids a Place to Play. One of the easiest and best ways to decorate the kids table is with butcher paper. Spread it out, wrap the corners under the table, and tape in place. Then add a box of crayons and add a few story books, and the kids will keep themselves busy while munching their meals. How do you create a warm and memorable holiday party table? With an inviting table setting that includes some sparkle and shine! It doesn’t take long to add a little pizzazz. Keep it simple with a few light-reflecting pieces. Choose a few of these ideas, then mix and match with other textures, such as items from nature, and, of course, the aromas and tastes of lovingly prepared food. Nothing beats the flicker of candlelight to create a warm glow. Gather a collection of candlesticks in the center of your table (ask your family and friends if you can borrow a few) and place matching white, scentless candles in them. 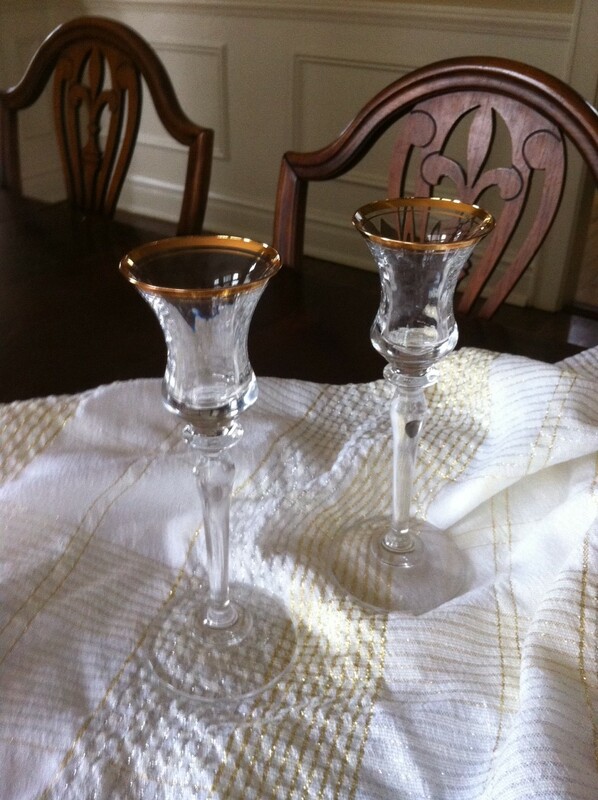 Or use plain juice glasses to hold small votives. Metal naturally reflects light. The simplest way to add metal accents is by using real utensils. Make sure they shine by giving them a quick swipe with a clean cloth and a dab of vinegar. Or, use a bowl made of silver, chrome or pewter as the base of your centerpiece. Mirrors work especially well when you have a beautiful chandelier above them. But they work beautifully with candles or metal too. Use a mirror like a tray and place candlesticks or metal centerpiece on it. Warm up a table with a tablecloth, runner or place mats that have metallic thread or a shiny jacquard pattern. Our foil-pressed napkins could beautifully complement your sparkling theme. Choose from a range of napkin and foil colors. Delavan Monogram Napkin This foil-pressed napkin is a must for any party. Enjoy the rich texture and fine quality of the paper and monogramming. Christmas Foil-Pressed Napkin Motifs include: candy canes, Christmas tree, stocking, ornaments, Santa’s hat and holiday wreath. High quality, three-ply construction. 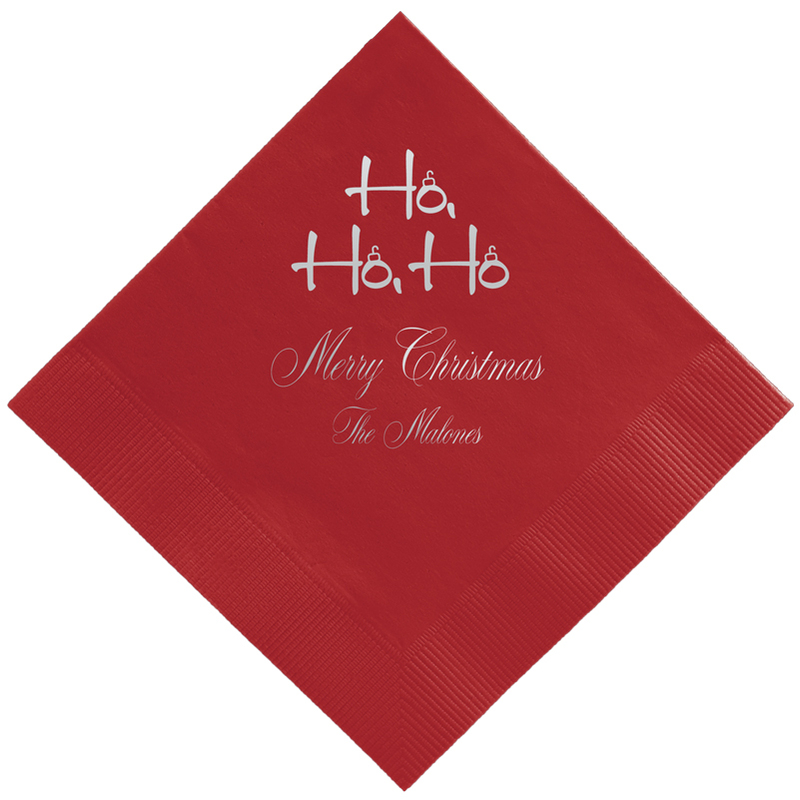 Yuletide Foil-Pressed Napkin There are as many ways to customize this napkin as there are reasons to celebrate. Motifs include: snowman, Rudolf the red-nosed reindeer, ho-ho-ho and snowflakes. The candles are lit. The turkey is in the oven. The guests will arrive any minute. Creating that warm, inviting feeling in your home takes effort. It comes through the scents of the lovingly prepared food. And it comes from the calm of cleanly swept and dusted rooms. In addition, maybe you’ve taken the time to gather fall leaves or other natural elements as a centerpiece. Here at Giftsin24, we offer a product that can underscore and embrace the ideas of family and bounty: Personalized Thanksgiving napkins. 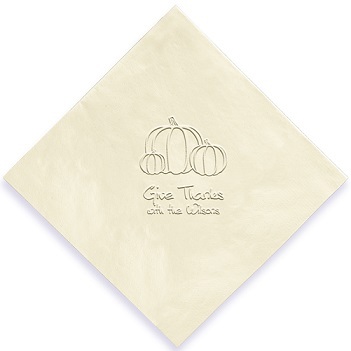 Here are some of our favorite Thanksgiving napkins, which you can personalize as you wish. We make them from the highest quality, three-ply paper. Finally, they come in a range of colors and inks to match any decor. Pearl Declaration Napkin: From our popular Color Mist line of napkins, the Pearl Declaration Napkin features subtle, shimmery lettering. A true pleasure to touch and use. 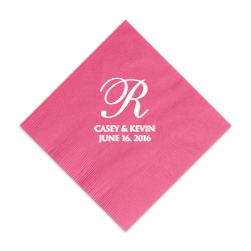 Customize with two lines of personalization and your choice of napkin and pearl lettering colors. Tint Monogram Napkin: For a more formal table, monograms are always the right touch. 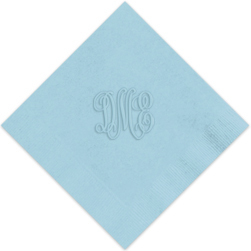 Our Tint Monogram Napkin features a raised monogram with soft coloring reminiscent of watercolor painting. The color fades as it approaches the center of each letter, creating a “tinted” look. These napkins are only available in white or ivory and offer five beautiful ink choices. (Hint: Try the stonewash tint for a table adorned with silver, white and blue accents). Leaves Foil-Pressed Napkin: Include up to three lines of personalization on these adaptable and beautiful napkins. Choice of lettering style. Motifs include: fall leaves, harvest cornucopia, turkey and pumpkins. 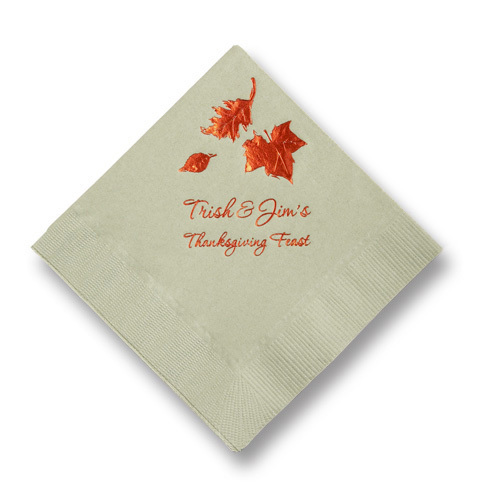 Autumn Embossed Napkin: Strike a warm and inviting note on your party table or buffet. These napkins come in a large array of colors to match any decor. Three lines of personalization. Motifs include: fall leaves, harvest cornucopia, turkey and pumpkins. High quality, three-ply construction. Trick or Treat! Halloween will be here in just a couple of weeks, and it’s all about having fun. Who doesn’t love costumes, pumpkin carving and trick-or-treating? The spooky spirit and element of surprise makes this holiday fun for all ages. You never know when something is going to pop out and scare you! 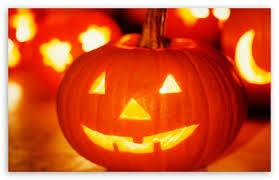 • Halloween is the second highest grossing commercial holiday after Christmas. • The first Jack O’Lanterns were actually made from turnips, not pumpkins. • Boston, Massachusetts, holds the record for the most Jack O’Lanterns lit at once – over 30,000. • The average American household spends $44 a year on Halloween candy. The top selling candy: Candy Corn. • A whopping 90 million pounds of chocolate candy is sold during Halloween week. Now that you know the facts, it’s time to plan your Halloween bash. Giftsin24 has the perfect Halloween napkins and guest towels for all your holiday fun. 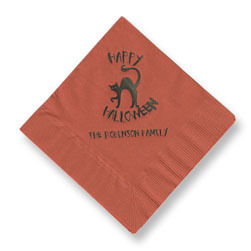 Serve up appetizers, desserts and beverages with our spooky Halloween-inspired napkins. Choose from ghosts, cats, pumpkins and bats! We will foil-press your design in your choice of shimmering color. The napkins will delight your guests with their whimsical appeal. Spooky napkins make your party fun! Attending someone else’s Halloween party? Bring them a gift of personalized autumn-themed napkins and make their next event, like Thanksgiving, a little more colorful. They’ll love the warm designs and the personalization. Giftsin24.com has the greatest selection of low-priced personalized snack and beverage napkins. Our everyday low prices make it affordable to create personalized napkins for every event. We have the absolute best Halloween napkins and we ship your order in 24 hours. Set the mood for a spooktacular Halloween party this year! When planning a wedding or special occasion party, no detail is unimportant. That includes the table settings and color-coordinated accessories. Choosing the right flowers, décor, silver and glassware makes all the difference between bland and beautiful. Why should your special occasion napkins be any different? Just because they’re functional doesn’t mean they can’t be just as pretty as the table linens and place settings. Your own personalized napkins or guest towels will add a touch of elegance to any event. Our special occasion napkins and guest towels are the perfect accent for any event. Many people use our napkins for a wedding, anniversary, shower, birthday, retirement or special occasion party. Made of soft, 3-ply material, there are 27 napkins colors and 15 foil colors to choose from. You can select from monogram, single initial, multiple-line personalization, and unique lettering styles. The embossed script monogram is a classic. For an elegant, understated look, the Serenity foil-pressed napkin is perfect. Two lines of personalization beneath a large single initial make the ideal wedding or anniversary napkin. A Silver Leaf Framed Monogram napkin is always a classic choice as well. For something a little more whimsical, choose the Joyous napkins. These napkins are available with multiple lines of text and let you tell everyone why you’re celebrating. 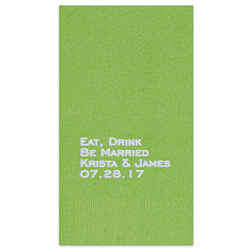 Joyous is also available in guest towels, so you can feature your theme throughout your celebration. At Giftsin24, we know that every celebration is important. Whether you prefer the classic style of an embossed monogram or the shimmer of foil-pressed lettering, you’ll find the perfect napkin to suit your taste. And with our 24-hour turnaround, you can rest assured that your order will always be there in time. Who doesn’t love the Fourth of July? Parades, flags, picnics, fireworks! There’s no holiday like the Fourth of July to make everyone feel like a kid again. Whether your get-together will be a backyard barbecue for family or a blow-out bash complete with fireworks, don’t forget the little details that make it festive. 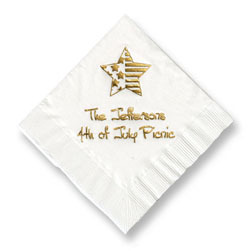 Colorful, personalized napkins with a patriotic theme will set the tone for a fun celebration. Browse our selection of Patriotic Napkins on Giftsin24.com and choose a holiday-inspired design to liven up your picnic table. 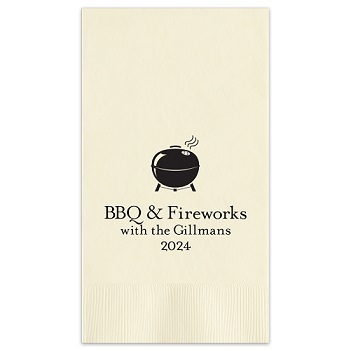 Bright and patriotic napkins, personalized with your family name or a holiday sentiment, will add spirit to your barbeque or picnic. It’s a great way to show off your patriotism (and your good taste). They’re perfect for serving drinks, snacks and desserts. “You have to love a nation that celebrates its independence every July 4, not with a parade of guns, tanks, and soldiers who file by the White House in a show of strength and muscle, but with family picnics where kids throw Frisbees, the potato salad gets iffy, and the flies die from happiness. You may think you have overeaten, but it is patriotism.” Erma Bombeck You have to love a nation that celebrates its Independence every July 4, not with a parade of guns, tanks, and soldiers who file by the White House in a show of strength and muscle, but with family picnics where kids throw Frisbees, the potato salad gets iffy, and the flies die from happiness. You may think you have overeaten, but it is patriotism. Spring is the season of celebrations, and one very important milestone that heads the list is graduation. Choose graduation napkins worthy of the occasion. Whether it’s grade school, high school or college, a graduation is a rite of passage in any student’s life. It is the end of one phase and the beginning of the next. It is a happy – and sometimes scary – step into the future. But no matter how or when, it’s always an exciting event. When planning the graduate’s party, don’t forget the details. Show them how much their accomplishment means to you. Personalized graduation napkins proudly display the graduate’s achievement for all to see. They’re the ideal finishing touch to the décor, the table settings, and the food. Nothing ties the whole celebration together better than matching accessories in party colors. Impress your guests with your attention to detail, and the graduate will feel extra special! 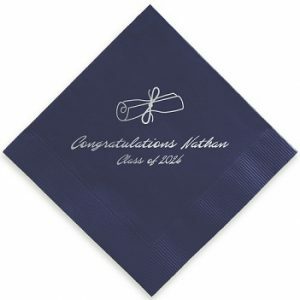 Graduation Napkins are beautifully personalized on three ply paper with foil or embossing. Napkins from Giftsin24 are made of soft, 3-ply paper and are great for serving snacks, appetizers and beverages. 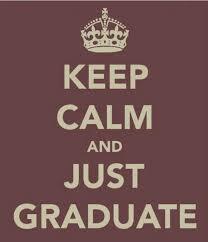 We have an attractive selection of affordably-priced graduation motifs to choose from. With so many napkin colors and foil colors to choose from, you can create the perfect accessory for that special party. Complement your décor and start a new tradition! Order today, and Giftsin24 will produce and ship your napkins within 24 hours. This Easter holiday, decorate your dinner table with beautiful, personalized Easter napkins and guest towels. With a wide variety of paper and foil colors to choose from, you can customize your napkins to match your place settings and add color and sparkle to your celebration. Easter is a special time to celebrate the return of spring with family and friends. Flowers begin to bloom. Trees start to bud. Everything is new and fresh. It’s the perfect occasion to invite friends and family to share a meal and welcome the season’s renewal. Derby Napkin. With their simple design and colorful foils, these napkins are always a favorite. Use them to serve treats and candy as well as beverages or snacks. Enjoy the arrival of spring with the Lavish Foil Frame Napkin Personalize three lines with your own festive message. Adults as well as kids will appreciate the pretty combination of embossing and foil. The Religious Embossed Guest Towel can be tailored with up to three lines of text. Each guest towel features the same powerful image to complement your celebration. Highlight the season with an inspiring message. Take time this Easter to enjoy the holiday with special food, family traditions and pretty decorations. Serenity Personalized Napkins give wedding showers or engagement parties that little extra something that says Help Us Celebrate Our New Life Together! Spring wedding showers should have beautiful napkins. And, it’s so easy to add that touch of elegance. Giftsin24.com offers a wide array of napkin colors and inks. Choose a combination that coordinates with your table, add the lucky couple’s names, and we’ll ship them in 24 hours. Blissful Napkins: The typeface says, “modern couple,” while the foil-stamping gives the table a hint of shine. Choose from 27 napkin colors and 15 foil colors. Serenity Napkins: These foil-stamped napkins feature a single script initial and one line of text. Choose from 27 napkin colors and 15 foil colors. Pearl Color Mist Declaration Napkins: These napkins come in an array of beautiful spring colors. The design is created with a combination of foil-stamping and embossing. Wedding Embossed Napkins: These napkins offer you three lines of text and a choice of lettering style, motif and paper color, affording you endless opportunities to create the perfect napkin. 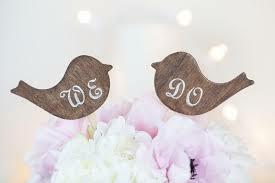 Images include wedding bells, rings, love, love birds and hearts. Also offered in a foil-stamped version. Nuptial Foil-Stamped Napkins: A foil-stamped napkin lends elegance to an engagement party. Includes up to three lines of personalization and a choice of font, motif, foil ink color and paper color. Motifs include wedding bands, Mr. & Mrs., To the Moon and Back, bow tie, diamond ring and xoxo. Also available in an embossed version. Find more choices at giftsin24.com…or visit our Pinterest page.